Most aren’t saying “yes” to what Apple is calling “the biggest iOS release” just yet, according to early data from TapJoy. 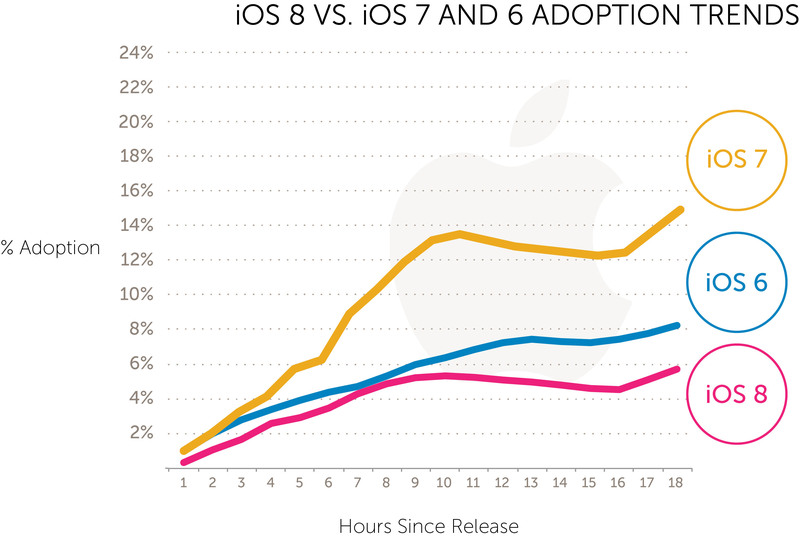 During the first day of release, iOS 8 is being adopted at a “significantly slower” rate than iOS 7. In fact, in 2012, users installed iOS 6 at a faster rate. At the start of the day yesterday, approximately 84% of iPhone and iPad owners on our network were using iOS 7 or iOS 7.1, while only 44.6% of iPod touch owners had made the update to iOS 7 from an earlier version and 42% of iPod touch owners were still using iOS 6. Today, approximately 18 hours after iOS 8 became available, 6.6% of iPhone owners are using it, compared to 7.6% of iPod and 3.9% of iPad owners. 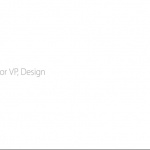 It looks like iPod Touch owners are really diving into iOS 8. None of this should come as much of a surprise. Last year was all about upgrading to iOS 7, the first significant software update since the first iPhone was released in 2007. This year, it’s all about the iPhone 6 and iPhone 6 Plus. And as our readers know, those devices aren’t being released until tomorrow, Sept. 19. 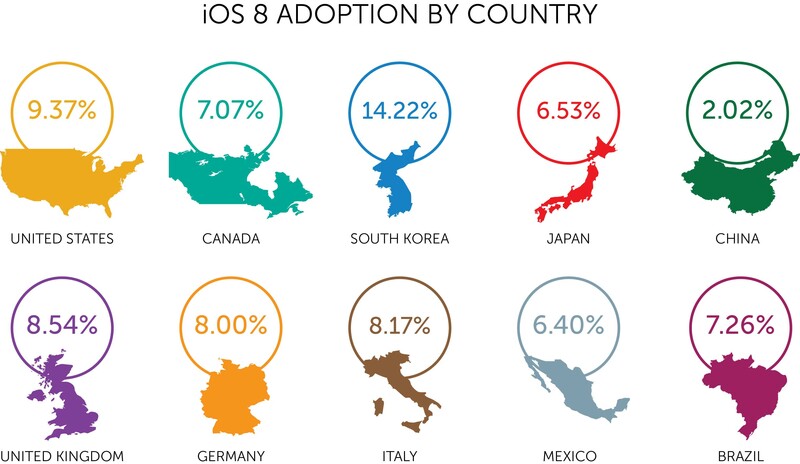 Fiksu’s iOS 8 tracker is also showing iOS 8 adoption lagging behind iOS 7 and iOS 6. 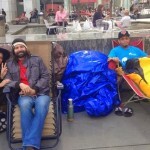 For more on iOS 8, see: How to setup new Notification Center widgets in iOS 8, Apple unveils an official free iOS 8 user guide for the iPad and iPhone, and Apple TV update brings support for iOS 8 features, Beats Music channel and more.